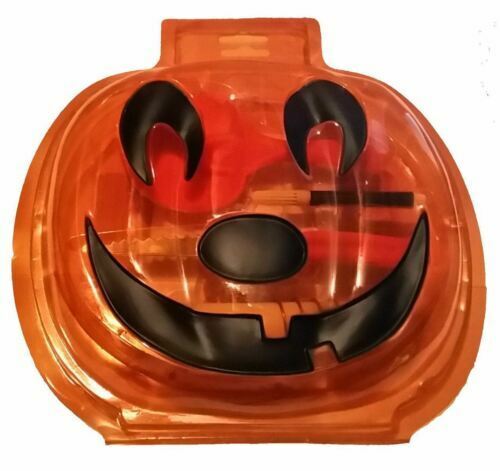 Pumpkin Magic Carving Kit Plastic Includes: 1 Candle, 1 Carver, 1 Marker, 1 Scoop, 6 Stencils, Cute Recloseable case Warning: This is not a toy! This product should be used under adult supervision. Children should be at least 5 years of age to use carving tools and permission granted by parents. 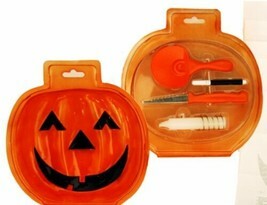 Tools as enclosed are sharp and can cause injury if not used carefully or as instructed. All injuries are the responsibility of guardian and or user.